Ahmed Al Khalifa from Bahrain’s Batelco gave a good presentation describing some of the main differences between generations. I thought this part of the presentation was a bit generic – you’d have heard the same (I have) from speakers in many different areas of the world, and it would have been good to have been given some insight on Batelco’s thoughts about generational differences within Bahrain or the Middle East. However, I was more impressed as the presentation progressed and Al Khalifa moved onto Batelco’s attempts to try to appeal to the different generations in different ways. A major part of this is about mindset – ensuring managers and employees understand that different ways of behaving between generations aren’t about lack of commitment or poor work ethics but are down to differing styles – this relates particularly to team working. Secondly, HR needs to attempt to satisy all generations working together in the same workplace, and to reap the benefits of each group’s unique skills and experience. I've been back in Dubai doing some work, having more meetings and presenting at an HR conference. It's my first trip back since November, and the mood has changed dramatically - both in my clients and contacts I met in the UAE, and in participants at the conference who came from across the whole of the Middle East. It's certainly been a complete reversal since my first, hugely optimistic post on the UAE last April. HR people working in the UAE are now very somber, and especially so in Dubai itself. Local banks haven't been affected in the same way as those in the west, but businesses are still impacted by the fall-off in global trade. And people are concerned that Dubai resembles a giant pyramid scheme in which people have invested in new developments, sold out and re-invested in bigger opportunities - a model that only works while there remain new bigger developments to invest in. Across the region, people are particularly concerned because of their governments' lack of transparency - they don't really know how bad things are. However, in Dubai, there's widespread speculation that Abu Dhabi's latest investment of another $10bn of its oil wealth isn't going to cover the state's debts. So UAE firms are taking the same actions the rest of us are, and are facing the same dilemmas too. At the conference, Ahmed Al Khalifa, Group GM Human Resources & Development at Batelco in Bahrain spoke about the need for HR to give the right advice to executives – to be surgical rather than think across the board when planning layoffs – and to look for areas of inefficiency. And the CEO of Mobily in Saudi Arabia emphasised the need for leaders to role model the right behaviours, those which customers require (linked to Ulrich's leadership brand). But I still believe the cloudy view has a silver lining. Businesses in the UAE have been growing so quickly that their HR teams have had little time to do anything other than recruit. There's now some slack and spare time in the system and wise HR Directors will use this opportunity to increase the professionalism of their teams, and to prepare for the future (or as Annie McKee said at the conference, to create an architecture for leadership once we come out of these turbulent times). There's also a greater opportunity to attract talent from the west, who may not have been attracted to travel to the region before, but due to layoffs here, may now have enough incentive. At the very least, the recession's made it a lot easier to get a taxi. There's a great case study with commentaries from four experts in this month's Harvard Business Review. It's called 'The Layoff' and as the name suggests, looks at one organisation about to embark on a redundancy programme. "Unfortunately, too many executives blindly assume that layoffs are the best way to cut costs. With the exception of a lower-level vice president, none of the managers in this case seriously challenges the notion that 10% of the employees must go. The top executives don’t discuss alternatives such as pay cuts, reduced benefits, unpaid vacations or days off, or incentives for voluntary departure. Nor do they consider how long it will take for the savings from the head-count reduction to kick in. A Bain & Company study of layoffs at S&P 500 firms during the 2001 downturn showed that it took them six to 18 months to realize savings from job cuts. And, when calculating savings, most executives fail to account for the cost of recruiting, hiring, and training new people who will be needed when good times return—let alone consider the damage to morale and productivity. Those costs are often much higher than people imagine, which helps explain why the study also found that firms that made layoffs their last resort and cut the fewest employees performed better than their competitors did." I agree with Sutton's perspective, and also with those commenters who argue that a combined approach is needed - reinforcing performance management in order to remove lower performers a bit more effectively, looking at slack in the system, putting less strategic projects on hold etc. However, one thing I think has been missing from the debate is the need to review what the business is doing, where it's going, and the resources it needs to arrive at its destination. We always (OK, normally) have a sensible objective in mind when we recruit. Similarly, we need to have a clear rationale in front of us when we lay off. We need to understand how much business has or will reduce, and therefore how many people we need to implement a certain business process. Reductions in force should be driven by the number of people we need to achieve our objectives, not simply by a desire to save costs. Most of my recent posts have focused on preparing organisations for the future, once the current recession starts to turn, or at least to stabilise. But clearly, all organisations have difficult times to navigate until then. But this still doesn't mean that they need to react in a knee-jerk manner making savage cuts which will make life more difficult later on. There is clear evidence that redundancies cost much more than business leaders sometimes think (for example, see the CIPD's equation to calculate the cost of redundancy) and various models for organisations to use in considering alternatives (for example, see Peter Capelli's advice to use real option theory). And there are plenty of organisations that are are being much more progressive in their short-term response to the recession. In fact, the reaction of my current clients and other organisations I'm in regular contact with, suggests that they're treating this recession in a very different way to how they've responded to previous difficult times. There are a number of possible reasons for this, some of which are to do with the increasing proportion of work which is knowledge based, and therefore relies on collaboration, innovation, customer service etc - all activities which are hit harder but sudden reductions in resources. One organisation that's been written about quite extensively is KPMG. Their programme, called Flexible Futures, is designed to respond to the collaborative, knowledge based environment I referred to earlier (Head of People for Europe, Rachel Campbell notes, "One of the main drivers is to make sure that should things deteriorate we can keep our team together. We've invested an awful lot of money in recruiting and developing a talented team, and we want a more positive, responsible solution than redundancy should we be faced with a deterioration." Under the programme, KPMG's 11,000 partners and staff have been asked to volunteer to change their terms and conditions of employment for 18 months, enabling the firm to require those who have agreed to the change to work a four-day week or take between four and 12 weeks’ sabbatical at 30% pay, with the maximum annual salary loss capped at 20%. It's not a strategy that would work for all organisations. 30% of pay still tends to be quite a bit at KPMG but might not suffice in many others. And as Management Today points out, "Absenting yourself from the office for a long period (or even one day a week) might keep you out of the firing line - but it also might make your employer realise how easily they can manage without you. KPMG staff will no doubt be worried that they might not have a job to come back to when they get back from their holidays..."
The key factor that makes it work is trust (the central factor in my change for the future model). As Campbell notes, "Flexible Futures will stand or fall by the level of trust we have created. Only if our people trust our leaders to exercise the options sensitively, taking into account individual situations wherever possible, will they sign up. It is a great test of the culture we have built." I've been posting on how organisations may change, and how HR may need to respond, to what the world leaders gathering in Davos earlier this month referred to as a 'fundamental reboot', or 'global reset', a turning point in the way that the world, and its' businesses, work. I've also explained how scenarios can be constructed for potential futures by identifying two main dimensions of change, and looking at how these dimensions interact. For the global reset, I think the two main dimensions that concern HR are: 1. whether or not business will bounce back, eg whether stock markets will return to their former levels in 2010, or not until 2020, 2030..., and 2. whether HR is seen as a critical part of a business' strategy in responding to whatever economic conditions they find themselves in. Milk floats have a motor (the people in an organisation) - but don't expect anyone to get excited about it! The focus here is on value for money - increasing the efficiency of the workforce, and of HR, for example by outsourcing. HR will keep a mainly administrative role. Yachts also have motors, but they travel fastest, or at least most excitingly, when they're powered by other forces. The role of people management and HR is adding value - supporting the business to do what the business needs to do. Key people management processes will be leadership development, succession planning, talent management, organisation development etc. I like a submarine as a metaphor for this scenario because I can picture the careful use of sonar to identify new opportunities, but also the risky nature of this means of transport. And it's nuclear powered of course - so maintaining the motor (people) is critical to its use. The focus of HR is about creating value - finding new ways of doing things based upon the capability and engagement of people in the business. Key activities will include innovative approaches to reduce costs, perhaps tapping human capital that lies outside of the organisation, the use of performance management, variable compensation etc. Brrm, brrm. The Formula One track scenario is about unleashing potential in people, liberating them to perform and to take advantage of opportunities for innovation and growth. Organisations are human capital-centric and like the deep sea submarine scenario, HR is about creating value - but here it's about using innovative approaches to provide new opportunities rather than to save costs. This may include, for example, segmenting the workforce and personalising support to key individuals. Key activities include developing and implementing employee value propositions; engaging and retaining talent. The formula one track is the environment I've been writing about in my last series of posts, but I'll leave it to you to judge whether it's likely to come around, and of course different countries, sectors and organisations may find themselves in different places on the chart. But one thing is clear - the opportunity for HR looks very different in each one. Photo credits: Oxyman, RLing, Kamalsall. In my last post, I wrote that I'd be looking at whether a 'global reset' is likely to take place, and if so, what form it's likely to take. However, I still don't feel I have a strong handle on how likely this is - I still see a lot of signs that business leaders and HR practitioners are considering how thing may need to be quite different in the future, but also an approximately equal number of signs suggesting that people are returning to their previous positions (albeit in a rather less buoyant state). So rather than predicting a single likely future with little understanding of how likely this is, I will provide a few different scenarios. First however, I'd like to describe the use of scenario planning in business, and HR. This is a technique originally used by Shell and which helped them predict the first oil price shocks of the 1970s (unfortunately, I don't know anyone who used it successfully to predict the current recession!). I use a methodology described by a former manager at Andersen Consulting, Rob Baldock, in his book Destination Z, which requires the identification of two major axis for the ‘logics’, representing the most influential and the most uncertain factors facing an organisation. I'll continue in my next post looking at scenarios for HR in the current environment. The diagram suggests that two key factors associated with the business context (the competitive environment, and new technology), and another two factors linked to the employment relationship (the demands of the organisation, and changing expectations of the individual) are influencing workforce attitudes. In terms of the environment - globalisation; increasing focus and importance given to human capital; and also to internal diversity, supporting increasing external diversity (of customers, partners etc) are leading to increased sensitivity and intelligence in approaches to business. Organisation pressures focus on the increasing proportion of work which is knowledge-based, and also the proportion of knowledge that is included within 'non-knowledge based roles' (it's becoming increasingly difficult to identify roles in which knowledge isn't now a key component). This means that work is increasingly intangible and leads to increasingly disparate levels of performance between the strongest and weakest employees., therefore emphasising the role of talent management. And knowledge work can be done anywhere, so virtual teaming is increasingly important. Individual pressures focus on what I call 'millennial expectations' which are especially evident in the millennial generation, but I think are also increasingly prominent in the rest of us as well. These expectations are supported by a desire to be treated as individuals, with our own identities and needs for self-actualisation, but also a growing need to be part of a community. The key technological change is the growing access to, and comfort with, new media, including social networking, and web / knowledge 2.0 applications, enabling user driven content. The factors impact on workforce attitudes through customer, investor and stakeholder attitudes (none of us are employees alone), and also by the recession. This is driving some factors forward (for example - talent management: we need to get much better at understanding what good performance really looks like, and rewarding it effectively), and constraining others (for example, millennial expectations - people are increasingly happy to have a job, and forgetting about their desire for meaningful work). However, the greatest impact of the recession is to increase the attention we're giving to this whole picture, which has the potential to increase the rate of change, regardless of the strength of the individual forces. And here are some of the changes I think may result from these forces. This diagram is still very much work in progress, but is the best answer I think I can give to Jo. Culturally intelligent management is a response to the increasingly global, diverse environments in which many firms now operate. It implies an increasingly sensitive, empathetic and personalised approach to people management. Conversation based development recognises that the key improvement tool in a knowledge based environment is the conversation that people have which each other, and attempts to increase the quality of the conversation in order to improve business performance. Transparent communication is a result of the use of social media - if you're reading this, you recognise the effect. Team orientation is a response to the increasing expectations of the workforce - it doesn't ignore the individual, but focuses on individual within a social context (individual and team at the same time). All of this is based on relationships based on trust, or it doesn't work at all. There you go, Jo. I hope it helps - any suggestions? 02:45 mins Krishna: introducing trust and work, the Edelman Trust Barometer. 03:50 Jon: other recent debate, eg at Davos. recent violations in trust. 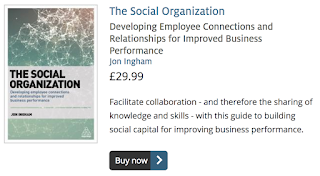 07:00 Krishna / Jon: defining trust as an outcome, an element of social capital. Ken Blanchard Companies' model of trust. Emotional currency. 10:50 Krishna: people who don't trust anyone or anything and the need to meet expectations. 14:10 Caller from Guatemala: question on role of trust in a new business venture - trust depends on motives and the problem is that people are often selfishly motivated. 18:00 Krishna: issue of differences in trust in different countries. 18:30 Caller: people use trust as a strategy. 21:00 Jon: trust in personal relationships as an analogy for trust in business; trust and its relationship to employee engagement (referring to Richard Edelman's on FIR podcast). 25:20 Krishna: summary of Edelman Trust Barometer, including results for different countries. Edelman's advise to use social media to enhance engagement. How trust is influenced by other' peoples conversations (comments on ecademy and one of Krishna's clients. 33:30 Jon: linking this point on influence to Edelman's findings that people need to hear something several times. 35:45 Krishna: also need to connect the story to the bigger picture; and to deliver on what is being communicated. 37:30 Jon: how important is the lack of / fall in the level of trust? - is it a short-term blip or a fundamental breach will which require very different thinking? Do we need to develop tighter bonds to ensure the future performance of the organisation? 41:50 Krishna: the need to build trust one conversation at a time. Some organisations and leaders realise this is important, include in surveys and reports etc. We need to understand whether our people trust us. McKinsey research - we tend to research people who are closer to hand - we need to be visible. 47:45 Jon: a possible psychological explanation for this. Trust in local HR people vs perceived credibility of function. The role of social media in building trust - do people need to meet face-to-face? Krishna: experience of building trust at a distance (without face-to-face or even voice-to-voice contact) - but social media isn't for everyone. Krishna: a personal perspective - do we feel we trust others, are we projecting our feelings about trust onto them? It’s Carnevale di Venezia and today’s main event is a gondola tour starting in calle Vallaresso and ending with dinner at Do Forni. So grab your costume and prepare for a cocktail of delights in this round of the Carnevale delle Risorse Umane. HR with Balls who offers thoughts on bank bonuses and Nick Jefferson who links this to the role of HR. David Wentworth at I4CP’s Productivity Blog who suggests laying down the law on executive compensation. Peter Reid at People Management’s Specialist blog who warns that protectionism and xenophobia are the real dangers, not Italian subcontractors (the Carnevale is in Italy after all!). Plus there’s my own post on sexism in the City. Chris Young at Maximize Possibility, who asks who whether employee layoffs or paycuts are preferable. Lucie Phillips at People Management’s Editors blog who deals with the particular issues around part-time workers. Shauna Moerke the HR Minion who shares her experience of outplacement support. As well as these, you can step up your own efforts to avoid redundancy with Steve Boese's thoughts on the need to be multi-dimensional at his HR Technology blog. Or if you’ve already been riffed, John Agno at the Leadership Blog introduces a new Career Forum and Lisa Rosendahl advises on getting the job offer at HR Thoughts. And if you want to help others who have already been made redundant, Mark Stelzner at Inflexion Advisors introduces the Job Angels. In addition, Susan Heathfield at Guide to Human Resources offers tips for coping when coworkers lose their jobs and Denise O'Berry at Ask Team Doc looks at the case of a Team Leader leaving. Team management: Dan McCarthy at Great Leadership offers tips on leading a global virtual team. 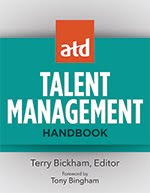 Performance management: Gireesh Sharma at Talent Junction considers why performance appraisals are sometimes ineffective and Ken Klaus at TalentedApps asks whether the bell is tolling for the bell curve. Leadership development: Wally Bock at Three Star Leadership offers his advice. Employee motivation: Mark McGuinness provides some Wishful Thinking and Anna Farmery at the Engaging Brand suggests one solution may be providing certainty. These are particularly important issues given that, as Kari Quaas at Cool Works reminds you, your employees are talking about you, and that just 15% love their job enough to marry it (see Alice Snell's post at Talent Management Solutions). Some companies are apparently still recruiting, although their methods are changing. Frank Mulligan at Recruit China notes that e-recruiting is down, Benjamin Yoskovitz at Standout Jobs questions whether you’ll get fired for posting on Monster and Mike McClelland ponders recruitment process outsourcing at Advorto. But this is a carnival and supporting the party mood, some posts deal with the need to encourage innovation and plan for growth. Nina Simosko offers four pillars providing smart growth for leaders and Paul Herbert at Incentive Intelligence notes the importance of incentivising innovation. Other posts deal with HR’s own development during the recession and beyond. Sharlyn Lauby at HR Bartender asks what Is the new HR? Chris Ferdinandi believes Renegade HR is an art (but you should act like a scientist) so of course you need to understand when to use qualitative vs quantitative research – see the advice from Tess Walton at Strategic Workforce Planning. Gautam Ghosh at White Spaces provides some critical skills for HR professionals and a couple of posts deal specifically with social media in HR: Lucie Mitchell at HR Zone considers the use of Twitter and Michael Haberman at HR Observations looks at social media and EFCA. Of course, we can only predict the future if we understand the past and Rick at Flip Chart Fairy Tales wraps up our Italian themed carnival by considering the lessons the Romans can team us about organisational culture. That’s it for this round. The next carnival event will open at Kris Dunn’s HR Capitalist on 4 March. Until then, arrivederci. Strategic Dynamics' support for our clients' internal and external communication strategies and activities is provided by Sandra Harrison. This support includes internal and external surveys and communications; customer and employer branding; employee engagement; and promoting HR / HCM programmes to line managers and employees. Sandra also provides UK based support for overseas research firms. Sandra has worked in HR, PR and Marketing, most recently at Senior Manager and Director level. Her experience has been primarily in professional and business services. She has a BA and an MBA, is an NLP practitioner and is fluent in spoken and written French. She has also won a Queen's Award for creative and low-cost communication. sandrakayharrison [at] googlemail [dot] com. Since I’m posting in a rather more personal style than normal, and since it’s Valentines Day today, I’m going to write my next post for my wife, and business partner, Sandra Harrison. With all my love to you, Sandra. 1. I met my wife, Sandra at a Christmas party in 1994, we were engaged on Valentines Day in 1995 and we married that Summer. 2. We live in what used to be a village but is now really just part of Bracknell, and will soon be part of Greater Reading. But my local train stop is Martins Heron – famous for being the home of the Dursleys in the Harry Potter films. 3. I’ve read the first six of the books, but then gave up. In fact, I don’t read anything like as much fiction as I used to do. Although now and again, I get gripped by something and finish it off in a couple of days (like just a couple of weeks ago, Elizabeth Kostova ‘s ‘The Historian’). 4. I also used to be very active, going ice climbing, kayaking etc, but these days I find my kids (two girls, 6 and 3,) take up pretty much all of my non-work time, and I’m very happy with the trade-off. Although I am a regular visitor to be local gym – The Royal Berks Health & Fitness Club. 5. I also spend a lot of time on the internet, particularly with social media. A couple of years ago, while writing a case study for my book, I was embarrassed by my lack of understanding of web 2.0, and committed to catching up. I’m not there yet, but I’m a lot happier with my level of understanding than I was. 6. Although I’m still not very active on Facebook. So for example, I'm actually not sure how I would post this there! Another thing I need to do is to get some informal pictures taken and replace my professional photo shot that I’ve currently got up here (February 2009), and on some of my other social media places. But when I’m out with my family, I am the one who takes the pictures – so I don’t have many of me. 7. Most of my Facebook contacts seem to date back to the mid 1990s when I was employed at West London TEC. In some ways, this was the best job I’ve ever had – certainly the most fun. I can’t remember the name of the pub over the road (not The Moon, the other one) but I can see myself in it very clearly. 8. The most intellectually challenging job I’ve ever had was at Ernst & Young in the UK. But as yet, I’ve got no Facebook contacts at all from my time there (I guess there’s a link between these points). 9. The most horrid job I’ve ever had was at E&Y in Russia – it was just a really, really badly led firm. But Sandra and I loved our time out there. We lived 5 minutes from the Bolshoi and often went a couple of times a week. Absolutely great. 10. And I loved visiting the other countries in Central & Eastern Europe and the CIS. My favourite memory in many ways is the Spring meadows just outside Almaty, Kazakstan (being such a change from the Russian city landscapes). 11. Our final night in Russia, after having packed up all our boxes, we had to throw some things out. Sandra and I stood on the balcony, watching some tramps sifting out the stuff they liked, and drinking champanskoe (us not the tramps). 12. Sorry to go on about Russia, but it was a fairly key point in our lives. Our two daughters were born there and still have joint Russian citizenship (they keep their Russian passports until they’re 18). 13. I think my overall favourite job was with Penna – the early days, while based at the Manor House in Stoke Poges (by Stoke Park golf club). Just a truly wonderful place to go to work. 14. Sitting here watching the snow, I’m slightly depressed that apart from a few short projects, including a few months in Italy and the couple of years in Russia, I’ve spent all the rest of my working life in the UK – there’s been some good reasons for this – but I’m determined not to stay here till I retire. 15. I still need to convince Sandra of this. 18. However, I sometimes get rather frustrated that it seems so easy for people from other countries to come and work here, but these countries make it very hard to work there. I don’t personally feel there’s any special relationship between the UK and US while we can’t even apply for the green card lottery. 19. OK, it doesn’t help that I’ve never been very good with languages, although I have at various times spoken passable French, German, Italian and Russian. I plan to start learning some Arabic too. 21. In the Winter I tend to retreat indoors, and watch more TV than I should. News, documentaries and science fiction. My favourite show of all time is Buffy and the best things on recently have been Survivors and Battlestar Galactica. My favourite more serious programmes are the Andrew Marr Show and This Week. "A big change is needed, the way Business treats its secrets, especially financial books, the way captains are chosen to helm the business (because of recent CEO failures), the way employees manage their finance (because of foreclosures), and the way salaries and profits are distributed. The change is needed." "My lack of trust in these 'banksters,' runs deep, and it is difficult at this point to listen to the ones who drove us into the ditch suggesting fundamental change. The sheep is suspicious when it's the wolf doing the suggesting." "This period will go down as the "Golden Age of the Internet" for many reasons, including the way it revolutionized the workplace." And, discussing apps like Zumbox, Jo suggests we are on the cusp of commercial change as fundamental as the introduction of the penny post and the limited liability company. 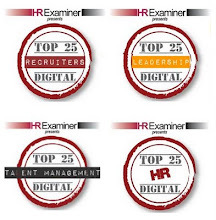 "The extent of that involvement is reliant on how HR is perceived in the organization. HR must have a respected seat at the executive table to, in your words, 'have the capability to lead this change.' This is certainly not the case in many organizations today." "Does HR have the capability to lead this change? No, it doesn't." 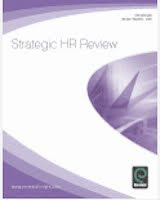 ... and provides some great references, see her comments to my HR in the spotlight post. However, Jo very appropriately challenges me that my questions are to general and I need to be clearer about what changes I think are coming, what are the first steps we have to take, and how can we assist each other to take those first tottering steps? I'm going to try to answer some of these concerns in my next post (and yes, Jo, I know I need to do my 25 things for you). In my last post, I noted that changes in bank bonus structures need to be supported by broader changes in their HR practices and greater diversity in their staffing - particularly in terms of people with different engagement drivers, but also with different perspectives in general. Debate on this, in the UK at least, has concentrated on equality for women, particularly at the most senior levels in City firms, which government minister Harriet Harman believes is "top of the list for treating women employees unfairly". She has therefore asked the Equality and Human Rights Commission to investigate the City's male-dominated culture. "Salary was the most egregious difference between the sexes, according to Harman. Female bankers apparently earn on average 40% less than their male counterparts, which is almost twice as big as the overall pay gap in the UK. It’s partly because there are so few women in the upper echelons of the industry: just one in 20 managing directors is female, despite the fact that the industry actually employs more women than men. But even those who make it to MD level usually get paid less – and they’re few and far between anyway. ‘City boards are still mostly a no-go area for women,’ Harman insisted today." What's behind this situation? One recent suggestion is that it's because "women are judged to be less visionary than men in 360-degree feedback. It may be a matter of perception, but it stops women from getting to the top." However, there are a range of other systemic issues involved as well and I think the government is probably wise to avoid solving these and simply aiming to find ways around them. The main response will come through the Equality Bill (see my previous post on this). Although this bill has been criticised for detracting from women's existing, undiscriminated ability to reach senior levels in organisations (see here for example), I personally believe it strikes an appropriate balance between doing nothing and imposing more drastic measures on businesses (see for example Thomas Otter's comment on my previous post). The key question is, if City firms had included more women in their senior teams, would we have actually avoided the present difficulties? Referring to this, Sylvia Ann Hewlett notes: "Finance has always been dominated by men and driven by a testosterone-enhanced culture." She quotes research which suggests that men can tend to be aggressive - and sometime irresponsible - risk takers, and goes on to ask: "if women had been running our banks, might we have avoided the sub-prime mess and the resulting economic meltdown?" ‘‘Women have a totally different approach to life. They are less concerned about grabbing as much as they can for themselves and have a greater desire to build firm foundations that will endure. I have absolutely no doubt that the world would have looked totally different if women had been in charge." "There is a feminine approach to leadership, which is not, of course, confined to women. It is about being intuitive as well as rational. It is about multi-tasking and being sensitive to people's needs and emotions, as well as relationship-building and generous listening." "The idea that men and male behavioural patterns are to blame for the global economic meltdown smacks of some terribly outdated stereoptypes that should have been left behind in the 70s and 80s. My problem is not that this is offensive (although just try replacing the word "men" at every point in this article with your choice of "women"/ "comprehensive school-educated people"/"gays"/"ethnic minorities" if you think it isn't) but rather that it is so sweepingly generalistic as to be ridiculous. I have met as many risk-averse men in the City as I have risk-prone men, possibly more. Equally I have met many women who thrive on risk and excitement. To characterise these very human issues as a matter of gender does a disservice to us all." While these are all good points, Nick (and sorry it took me so long to reply), I still feel there's something in it too. If City boards had been proportionally staffed by women, I think things might well have turned out a bit differently to the way they have. I suggested last September that HR, or at least HR practices, are in many ways behind the current crisis. It was a relatively rare viewpoint at the time and the Bank of England was criticised for 'sticking its nose in where it doesn't belong', when it dared suggest bank's compensation schemes might be partly behind the situation. No longer. Compensation in financial services firms is now headline news. Following Barack Obama's lead in capping bonus payments for banks receiving US government support, the UK government is also now seeking to impose pay restraints across large parts of the banking industry. This isn't something that any of the UK's main political parties would have contemplated last September, but the public's revulsion of rewards for failure is so acute, it's no longer an issue that can be ignored. Of course, the perception that the gap between rich and poor is too wide has been growing for some time. But it's also clear now that the gap isn't just wide, it's also unjustified - and has been one of the major contributors to our current problems. And it's not helped by John Thain spending $1.2m on his office renovations, including the famous $1,400 waste basket, as Merrill Lynch went to the wall. Barclays, which is to pay bonuses of about £600m has been relatively unscathed, but then it has earned profits of close to £6bn and is cutting bonuses by 50-60% and has announced its own top-level review of its bonus structure. RBS is going to have a much tougher week. The UK's prime minister, Gordon Brown, has already said that he is “angry” that the part-nationalised bank, which has made a £28bn annual loss, is preparing to pay out £1bn in bonuses. The bank argues that it needs to make these discretionary payments to retain its best staff. In the main, this is a red herring - few other banks are recruiting, although there will always be a demand to talent, and Josef Ackermann at Deutsche Bank has noted, for example, that "talent will be happy to work for us". The bank also has contractual obligations to pay some bonuses. However, it is possible to argue that the bank basically went out of business when it was taken over, and that without state funding employees wouldn't even have a job, never mind a bonus (see for example, former deputy prime minister, John Prescott's Facebook campaign). Of course, most people still understand that an average bank teller has had little to do do with financial malpractices, and that therefore, they should still receive a bonus. But bearing in mind the above points, these should probably be reduced. We'll have to wait and see what happens... legal issues may yet stop the government from making any changes, although they may find a way to override these obligations. But the bigger issue is how we ensure bonus schemes are better designed. It's been announced that both Citigroup and UBS are writing clawback provisions into staff contracts so they can recoup large bonus payments if business performance suffers. What? - how on earth weren't these provisions included before now? HR should never have let this situation develop. And it's not just an issue of compensation design. Some banks have refused to see their people as purely money motivated, but most have simply accepted their people are only engaged by high rewards, have offered these rewards, and have continued to recruit people who are motivated in this way. On the BBC news: "I deserve my bonus - I've worked hard for it - after all, I only earn £95,000." In the Sunday Times: a Morgan Stanley banker who last year was "paid a bonus of only £2m" now "feels unfairly treated as the bank makes across-the-board cuts, no matter how individual have performed... 'The contract has been broken,' he said". I think these comments show how far bankers' perspectives have become divorced from the public's. "Regular Americans believe that Wall Street bankers are largely responsible for the financial mess the country is in right now. Whether that perception is right or wrong, Stumpf and his CEO friends need to buck up, shut up and be more sensitive to how their business practices might be perceived by the folks on Main Street. This is hardly the time to defend business as usual, no matter how legitimate it might ultimately be." The key for me, as I've posted before, is the banks' cultures. Financial services firms need to offer their people a broad and balanced (financial and non-financial) EVP based on a compelling purpose (mojo) which is supported through HR practices including leadership development and succession planning etc. So, it's going to be another interesting week. Tomorrow, former CEO of RBS, Fred Goodwin (who left the bank with a £8.4m pension pot) will be grilled by MPs on how he led the bank to the edge of collapse. But given that these are HR issues in the spotlight, where is the HR response on this (from the CIPD, SHRM etc)? "Historically a downturn has been a time when business models, organisational structures, labour markets and employee contracts come under immense strain. Accepted wisdoms are challenged and this break in thinking can result in the adoption of new practices and the adoption of new habits and skills. These pressures and fissures – while difficult at the time – can yield fresh ideas, engaging experiments and interesting adaptations in the long run. This is important because while many managers are adept at innovating products and services, few have been adept at innovating the practice of management itself. As a consequence, businesses are often cluttered with increasingly outdated ways of managing: performance management processes that were invented in the 1950s; notions of leadership that go back to the command control of the second world war; and meeting protocols that have not changed for decades. At the same time, potential innovations such as virtual team technology are left unheeded." Gratton suggests that two of the changes which might be needed are wider distribution of leadership and creating flexible virtual teams. I think Gary Hamel's 25 priorities fit with this too (I'm very shortly going to be reviewing this on my Social business blog). What do you think - are businesses going to fundamentally change in the global reset? - please comment or respond to my poll - top right of this blog. Thanks! 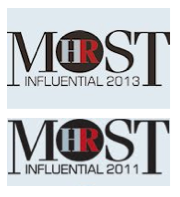 HR's main priority? - It's dealing with the recession, stupid! Well actually, no, I don't think it is. To me, HR's biggest challenge, and opportunity, is to facilitate conversations within their businesses about if and how the way these organisations run needs to look different from now on. My last post on the global reset suggested that businesses are now going to have to change. As Cary Cooper, writing in Human Resources magazine explains: "The last two decades have been about the acquisition of material goods, about excess, about a ‘me-oriented' as opposed to a ‘we-oriented' society." We're now moving rapidly towards a more 'we' focused environment. It's not going to be easy. HR still needs to deal reactively with the negative consequences of the recession - which is already taking up a lot of extra time. But it needs to plan for the upturn and to take account of sweeping societal changes too - or as Ulrich phrased it last night, "In the current climate, HR is faced with a series of paradoxes and may, as a result, become confused as to whether to do nothing or everything; or to take a short-term view or a long-term view". HR teams need to do both, but in my view, it's the long-term piece which will have the biggest overall impact (longer-term). "Impossible, the banks might say: our star employees will never tolerate such restrictions. But if there is ever going to be a time to reorganise the incentive structure now must be it. A threat to quit will be pretty hollow, given the state of investment banking. And few traders will have the clout to set up their own hedge funds in today’s market conditions. In any case, the greediest employees may be the ones most likely to usher in the next banking crisis. Better to wave them goodbye and wish good luck to their next employer." "This recession could be the making of HR. During this period HR will be challenged like never before... The challenge for HR is potentially more meaningful, to ensure that we create the right organisational climates where people can flourish, where we retain and truly develop our human talent, where we humanely deal with people when the times get tough, that we don't avoid confronting senior management when we need to, on the important ‘people issues ‘of the time, rather meekly accepting top management diktat that we know to be wrong. HR should be at the forefront of our recovery, not just a compliant functional support system. It is now time to put into practice action the often-heard HR rhetoric: ‘The most valuable resource is our human resource'." What do you think? Are businesses going to have to fundamentally change (say, within the next fivce years)? Should this change be HR's main priority? Does HR have the capability to lead this change? I'd value your comments below, and / or I've also set up a poll on my sidebar (top right corner of my blog) for the first of these questions. It would be great to hear your views. On Monday's Talking HR show, I spoke about how businesses need to prepare for the longer, as well as just the short-, term. And I mentioned the World Economic Forum leaders' call in Davos for a 'fundamental reboot' of the economy. This reboot will be partly structural, led by the 'global redesign initiative' to reform banking, regulation and corporate governance; and supported by other initiatives, such as Obama's curbs on executive pay. But I think it needs to be largely cultural as well; it needs to be about a new way of doing business. This point is coming through strongly from many different areas, including many / most? of the leaders at Davos. But I still wonder how much things are really going to change. There's almost as much push back as there is momentum forward. Take this article on CSR by Stefan Stern at the FT. Stern suggests that "now the recession’s here we can forget all that nonsense about corporate social responsibility (CSR) and get back to trying to make some money". He describes my uncertainty about momentum and push-back as a "mismatch" between "politically correct rhetoric" and "the reality of what managers have to do every day of the week". And he concludes: "we need to cut through the well-meaning waffle". So in Stern's view at least, nothing's going to change. We're just going to carry on with reducing levels of trust, happiness and engagement, and assume that organisations designed for the 20th century still do the job today. I don't believe we're going to let that happen. And I hope that there are enough CEOs and business leaders in the world who for their own sakes, and the sakes of their companies, as well as any progressive or humanistic principles they may have, will ensure that we don't. "In an article for the Daily Telegraph last week, Sir Terry let off steam about what he sees as the growing risk of over-reaction by governments and regulators in the current crisis. We risk losing sight of a few fundamentals: 'free trade in competitive markets, enabling individuals to pursue their own interests, and all within a clear framework of law,' he wrote. Do-gooders, whether they mean to or not, are likely to do bad. Yes, he went on to say, the role of something called 'green consumption' could also play a powerful role for good, in cutting the use of carbon. But it is obvious where Sir Terry’s priorities lie. In a lecture in the same week he told suppliers that they would be coming under increasing pressure to cut the prices they charge Tesco this year. How worried is Sir Terry by the thought that his suppliers may be forced into finding cheaper and potentially less environmentally friendly ways of producing their goods? Not very, would be my guess." I do believe that CSR and more generally, the rebooted economy, need to be supported by more government regulation. Tesco does need to be constrained before the whole of the UK is covered over in concrete and fake clock towers. But both CSR and the rebooted economy also need to be supported by a real desire to engage. "The era of transparency; accountability for corporations; responsibility - is profoundly different today versus where it was even six months ago... You've got the run the company with trust - compliance, governance and transparency... a long-term dedication to people. Companies need to stand for something - they need to be accountable for something more that just the money they earn..."
Immelt also suggests that "people who understand this will prosper in the future, people who don't understand that will be left behind". I tend to agree - GE's going in my HCM fund, and Tesco's staying out.